The New Year is upon us. Although many people want to improve their finances in the New Year, they give up when things don’t happen at the pace they want or they don’t know where to start. Regardless of your financial standing, there’s always room for improvement. 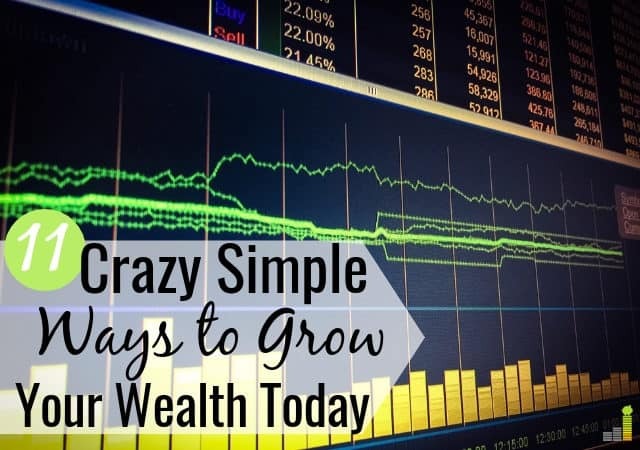 Whether you need to pay off debt, make more money, or something else, there are plenty of ways to grow your wealth today. Here are 11 different money moves you can make in 2019 to grow your wealth. Opening a savings account seems boring but it’s the best tool to keep your finances on track. When I started paying off over $50,000 in debt, opening a savings account was the first thing I was told to do, and I’m glad I did. It allowed me to handle emergencies because they do happen, and it also helped me sleep at night. When choosing a bank, pick one that lets you open a savings account with no minimum balance and pays a decent interest rate. Barclays does this, allowing you to open a savings account with whatever you want and pays 2.20 percent interest – with no minimum balance. That’s 22x the national average. It doesn’t matter if you start saving with $5 or $50 per month, just start saving and build from there. I remember when I first started investing in the stock market. I was scared and knew nothing about investing. After reading a few books, though, I had the confidence to start. If you feel the same way, you can start investing with little money and do quite well. For example, Ally Invest lets you open an account with no minimum balance requirement and has many tools to help you start investing. Ally Invest also only charges $4.95 per trade, which is the lowest in the industry. Do you have a 401(k)? When was the last time you analyzed it to make sure you’re in low-fee options and the best funds possible? I hate debt. It enslaves you to others and keeps you from reaching goals. I also hate the high-interest rate many banks charge on debt. The first thing I did when paying off debt was reduce the interest rate on my credit cards so more of my payment would apply towards the debt. Avant is a great lender to consolidate your debt. You can get funds within a few days, helping you begin your journey to becoming debt free. If you have student loans, Credible is a great option. They have rates as low as 2.54 percent and save the average person almost $19,000. Credible allows you to compare up to seven lenders at once and provides options within two minutes. Paying off debt seems impossible. It’s not, but you do have to start. Check out our guide on how to pay off debt faster this year to get an idea of how to begin. I love making extra money, but a common excuse for is that they don’t have the skills needed to make extra money. If you can drive, you can make extra money and you can meet new people at the same time. Lyft is one service that lets you make extra money driving on your own schedule. In fact, they’re currently offering a $1,000 earnings guarantee in your first 30 days. You just need 125 rides in the first 30 days to reach the guarantee. We have several friends who drive for Lyft and make good money each month. Do you want to drive but would rather not deal with people in your car? You can deliver meals for Uber Eats or DoorDash and make good money. 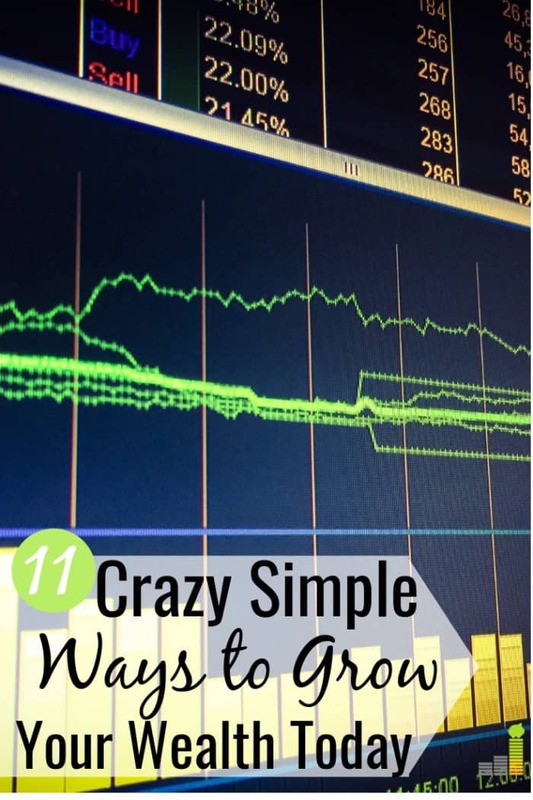 Check out our review on how to make money driving your car to learn what each company requires and how to maximize your earnings. No, not a real robot, but a robotic assistant that saves you money. Trim is a free-to-use app that cancels all your unused subscriptions. You download the app, connect accounts and bills, and their robot assistant emails you with ways to save you money. If you don’t use the service, Trim cancels it for you. If you want to keep a particular service, they work to negotiate to lower the bill. The average person saves over $30 per bill with Trim, which can add up to big savings. Read our Trim review to learn more about how the app can save you money this year. After I opened a savings account when paying off debt, the next thing I did was track my spending. It doesn’t matter what you spend; you want to keep track of it so you know where each dollar goes. Knowledge is power. especially when it comes to your finances. We use Personal Capital since it helps us stay on top of our financial lives and track our net worth. It’s also free to use. You can read our Personal Capital review to learn more about this robust service that does more than just track your spending. Tiller is another favorite tool of ours to track spending. Free to use for the first 30 days, Tiller puts your bank transactions into Google Sheets on a daily basis. You can also customize it for your particular budget needs. Life insurance is key to a well-rounded financial plan. Many don’t have life insurance because they think it’s too expensive or it’s something to deal with later. Thankfully it’s not as expensive as you’d think and the sooner you act, the cheaper it is. After all, the last thing you want is to have an untimely death and not provide for your family. You can protect them for very little each month. PolicyGenius lets you compare providers to find the cheapest option. They also let you compare car insurance, renters insurance and more to find savings opportunities. Knowing what’s on your credit report is an important part of good financial health. I’m a Jr., and I’ve had several of my father’s accounts listed on my credit report, so I need to check on a regular basis. I use a service called CreditSesame which provides, quickly and at no charge, your credit score along with other important credit details. It’s good practice to check your credit report several times a year, to make sure there’s no errors. Many service providers have access to your credit, so it’s important to make sure everything is correct. You don’t want something wrong to be reported and impact the price you pay for a service or item. Want to make extra money but don’t want to give up your down time? You can make extra money watching TV by taking surveys. Taking surveys is a great way to earn a little extra money to boost your savings. Survey Junkie: This is our favorite survey company since they pay you cash straight to PayPal or let you redeem rewards for Amazon gift cards. Pinecone Research: This survey site pays $3 per survey and you can choose between PayPal, Amazon or restaurant gift cards for your payment. They also pay to do product testing. Ipsos i-Say: Ipsos is one of the oldest survey sites in the market, starting in 1975. Ipsos has a wide variety of survey and product testing opportunities, with a low redemption threshold of only $5, or 500 points. They also enter you into free drawings (one entry per survey) for extra cash and travel. You won’t get rich taking surveys, but they can be a great way to make money when doing something passive like watching TV. I hate clutter around the house, and one of the main culprits of that clutter is old electronics we no longer use. To solve the problem, we use Gazelle – a service that buys back old electronic devices like smartphones and tablets and gives you a little cash back. Check out our guide on the best places to sell old electronics for cash for options other than Gazelle. Each company has their own specialty, so you may benefit from comparing companies. We put the extra money into our vacation fund. You can use it to put in savings, pay off debt, or any other area you choose since every little bit extra helps. How would you like to get paid for your shopping? One of my favorite apps to get cash back on my shopping is Ibotta. Ibotta works at the grocery store, letting you take advantage of rebates on purchases you make. Ibotta also works at 350+ retailers, including Amazon, Target, Walmart and more. You get a free $10 when you sign up to help you start saving, and you can redeem funds once you reach a $20 balance. Read our Ibotta review to learn more about how the service works. Many believe you need to be an expert, or have a lot of money, to grow your wealth. You don’t. Most of the above money moves can be done rather simply and with little to no money. Improving your finances often seems overwhelming. If you feel that way, find one area you want to improve in and focus on it. This makes it more manageable and allows you to build confidence to work on other areas as time and resources allow. The best part of each of the above is you can start them all today. Pick one and attack it, then move on to the next area. By the end of 2019 you’ll be surprised at how much progress you’ve made in growing your wealth. What are some other tools you’ve used to improve your finances? What’s the top way to grow your wealth, in your opinion? What’s one area you want to improve on financially this year? Once you contact Credit Sesame, there is no way to unsubscribe without many steps and you will get emails forever. Never again. There are other sources. I agree, there are other sources. Credit Karma is another good option. I’ve never had this personal experience with Credit Sesame, but many other companies are that way and is not unique to your experience with Credit Sesame. You can unsubscribe but it often take at least a week or two to get removed from their promotional list.